Kitchen dreaming. 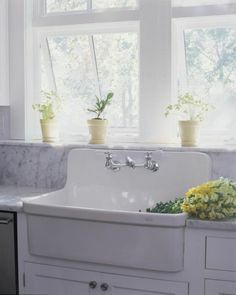 (Farm sinks are my jam.) | Finding delight. 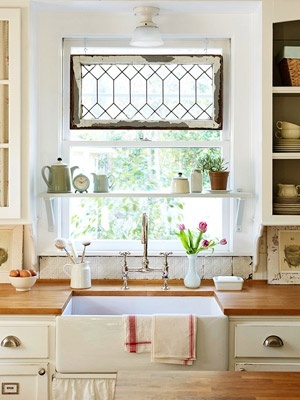 The kitchen of my dreams definitely involves a farm sink. 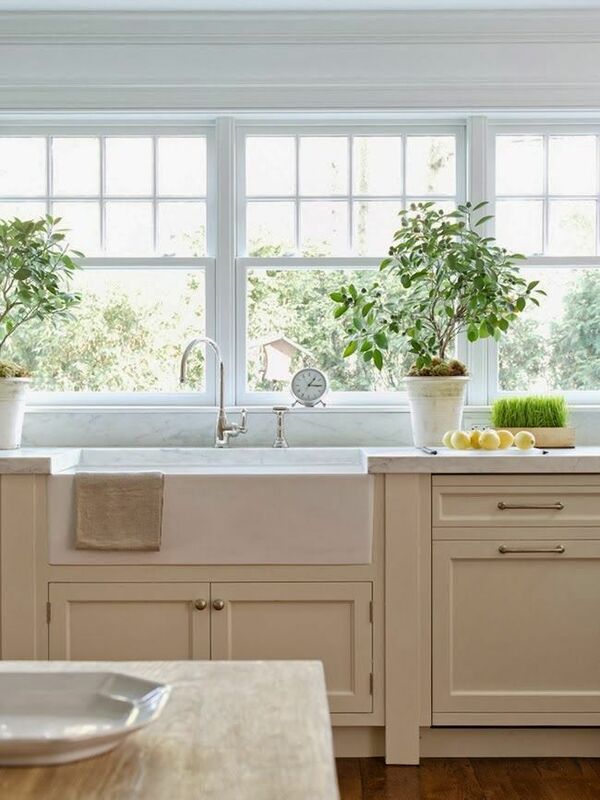 Utilitarian (think of all the things you can do in that big basin–wash fresh vegetables straight from the garden, strain huge pots of spaghetti noodles, give your farmer’s market bouquets drinks of water in their accompanying quirky vases), bright and a great focal point amongst a slew of cabinets. 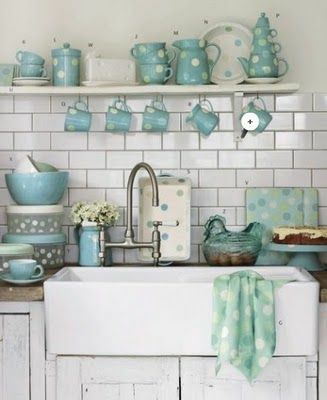 I used to think not having a split basin sink would be an annoyance for the no-dishwasher life. However, after moving into an apartment with a deep, white sink I’m a total convert. What do you think? I love it! My only issue is that porcelain sinks HATE my wine glasses. Are all these made of porcelain?